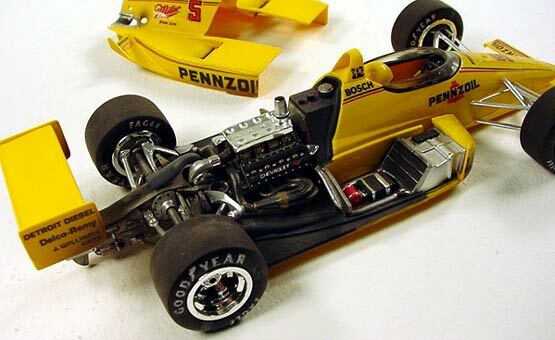 I built this AMT Penske PC-17 Indy car to compete in the "out-of the-box" classes at various model contests. 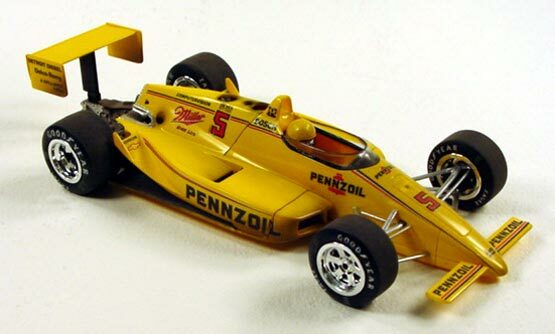 This was a very competitive model and won numerous awards back in the early '90s. For the class you can't use anything extra than what comes in the model kit box to detail them, so I had to relay on what I could do with paint. 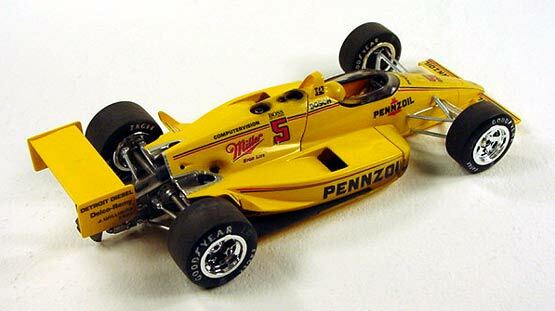 I airbrushed several different washes over the engine and bodywork to simulate normal race grunge.